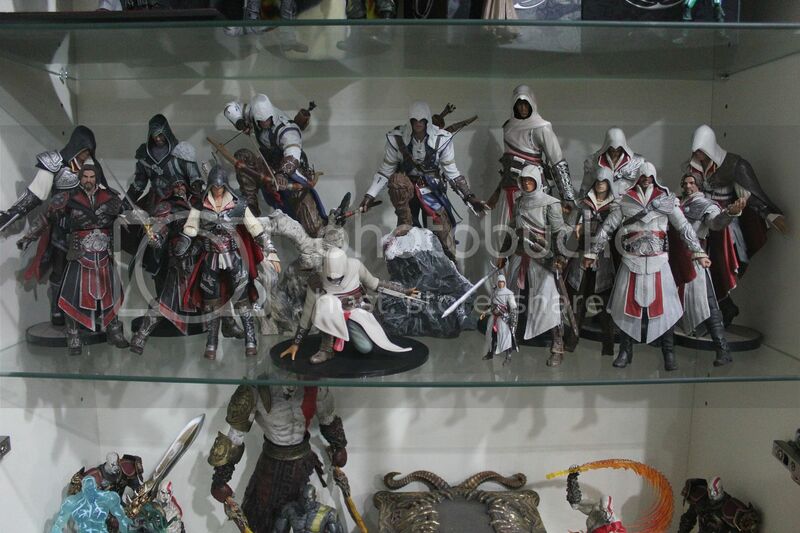 Have every Assassin's Creed figurine released up to now, including the very rare Crouching Altair one in the front. The Freedom Edition Connor is missing the Colonial Flag piece as it doesn't fit into the shelf so it's tucked away safely for now. Hoping for a Aveline figurine from the AC: Liberation PS Vita game. That will be a nice addition to the collection. Got a few other NECA figures, the later released ones, still sealed in their box. Shelf is too full to add any more figures right now, haha! Hope you like my collection! Do post some comments below! man I see that under the AC collection you have a God of War collection,it is very nice,congratulations,can you tell me please what collection is the one above the AC collection please?